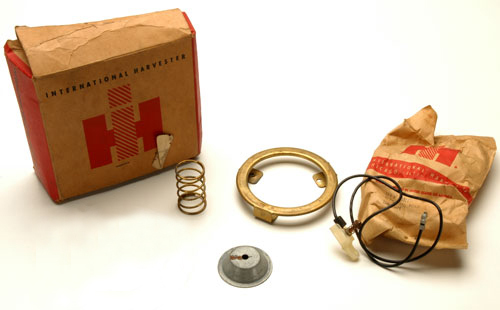 Original Scout horn button kits with electrical pick-up. We're pleased to offer this ORIGINAL New Old Stock Kit for your Scout model 80 or 800. If you don't need the original IH part, check out our awesome Reproduction in Related Parts.